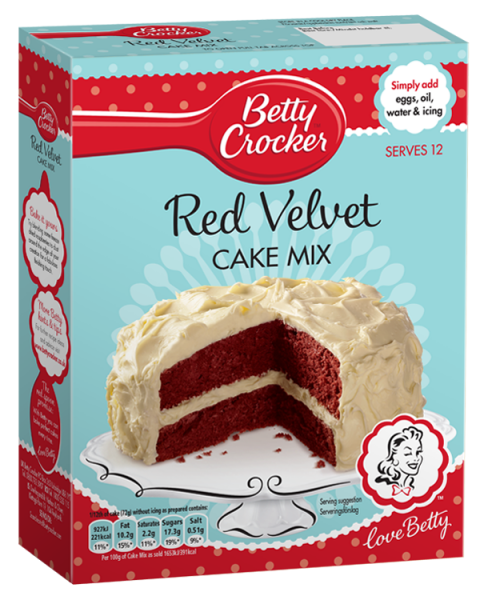 Red Velvet Cake Mix This Red Velvet Cake oozes sophistication with its ruby-coloured, luscious sponge and rich chocolately flavour. So grab your apron and mixing bowl... It's baking time!